Waste Management here at El Paso ECO Disposal encompasses each stage from the pick-up to disposal or recycling of waste. This includes the transportation and separation of waste to it’s tiniest piece to ensure proper disposal within all city and state regulations. Whether the waste is a solid or liquid form it may cause harm to the human health and must be disposed of properly. El Paso ECO DIsposal takes Waste Management very serious as our highly trained staff is prepared to handle all disposal processes. If you have recently established a business in El Paso, there are a few things you need to make sure it’s operating swiftly. On top of it, you need an El Paso waste management company to help you handle the waste coming from your business effortlessly. Here is what you need to consider when thinking about hiring services from an El Paso waste management company. It can be quite inconveniencing if your waste isn’t collected as promised. On the other hand, there might be a few health and safety risks associated with your waste piling up for days or weeks without being collected. When looking to hire a waste management service, you need to make sure they are reliable. They should have regular collections that are timely to avoid any of the inconveniences experienced with piling waste. Just because your waste is being cleared from your premises, that’s not the end of it. You need to know where your waste is going. If you choose an El Paso waste management service that insists on recycling and proper waste disposal, you can rest assured that it’s not being dumped in rivers or oceans. Work with a waste management service that can assist you in understanding the proper recycling and waste disposal methods. A lot of issues can come up from time and time especially when it comes to waste collection. However, how the issues are dealt with will make a huge difference. For instance, has the company missed on a waste collection one time? Are they available on the phone or email to respond to any queries you might have about that? A lot of businesses rely on waste management services with great customer service. Any queries should be dealt with swiftly and professionally. There are a lot of services that go together with proper El Paso waste management. For instance, there should be recycling bins for each type of products and disposal bins for hazardous wastes and much more. It would be quite hectic if you had to source these waste disposal products from a different company and look for another to handle the waste management. Therefore, when looking for a good waste management El Paso service, make sure they offer additional services to make your waste management easier. 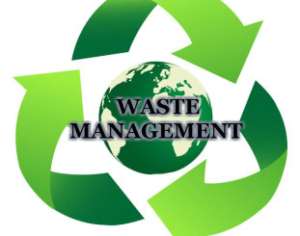 Getting an El Paso waste management service is crucial to the proper running of your business. However, that doesn’t mean you should spend a fortune looking for such a company. That’s why you need to look at the quality of the services provided and determine whether the company is affordable before signing the contract. Rushing to hire a cheap waste management service might not be a good idea. Therefore, look for a proper balance between the quality of services offered and the cost of such services to avoid breaking the bank. Note that, waste management is important for any business. However, you need to choose the right company for proper waste management using the following tips to avoid any disappointments. Take your time and do your research for the best results.